IT Systems | Zeller Electric, Inc. Your team demands connection and bandwidth at all times. All day long—and overnight—even when updates and fixes come through. So, your technology infrastructure needs to be up to the task. Zeller Electric is one of the few contractors between Chicago and St. Louis with an in-house accredited BICSI Registered Communication Distribution Designer (RCDD). Our systems technicians follow and study the latest technologies to make sure your network infrastructure can handle your business and security demands. And we can partner with you for new IP devices like CCTV cameras and wireless access points, as well as legacy data, voice, and telecom applications. 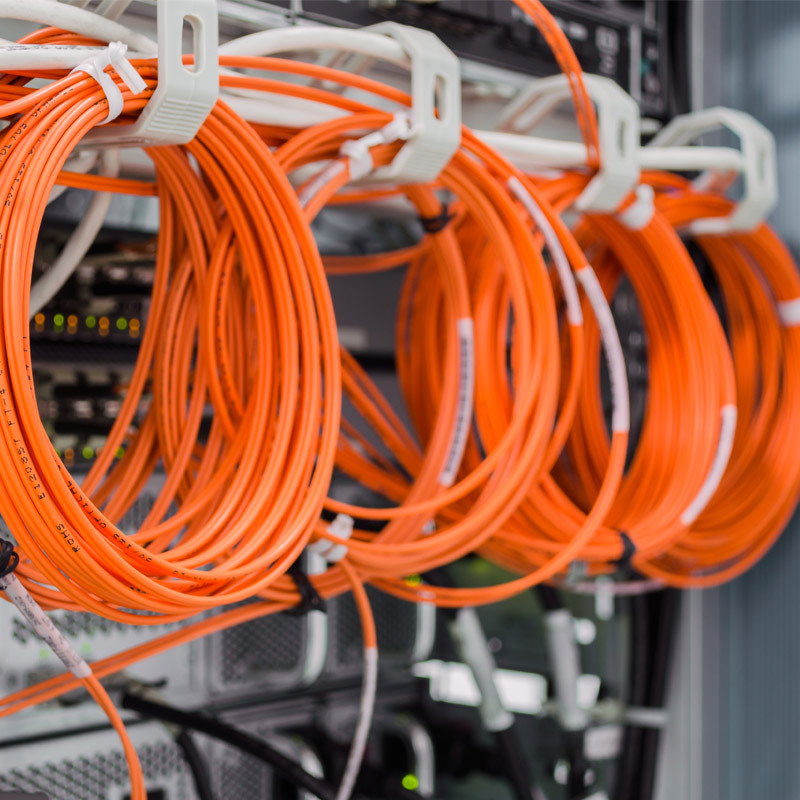 Our specialists are highly skilled at installing the latest 10-Gigabit Category 6a copper cabling, but they can also support and augment legacy Category 6 and 5e systems. We are equally adept with robust OS2 singlemode or OM3, OM4, and OM5 multimode fiber. We fusion splice in-house for minimum loss and maximum reliability. We are certified partners with experience and training across most tier-one brands. You can count on Zeller Electric's systems team to support networks across brands like Corning, CommScope's Systimax and Uniprise, Panduit, Belden, and Ortronics. We offer a wide range of services including both special projects and residential services. Contact us to learn more. "Your technician did a wonderful job at our mutual client PLR Insurance today. We asked to contact you after a different electrician was not able to do some of the Ethernet cabling and termination work, so he was coming into a partially-done, unknown situation on short notice and he really knocked it out of the park. He’s a great representative for Zeller Electric and further confirms why we recommend you first when we have a client that needs cabling done."